Some or none of you may remember that prior to my work woes, I was hosting a contest. Read here for more info. 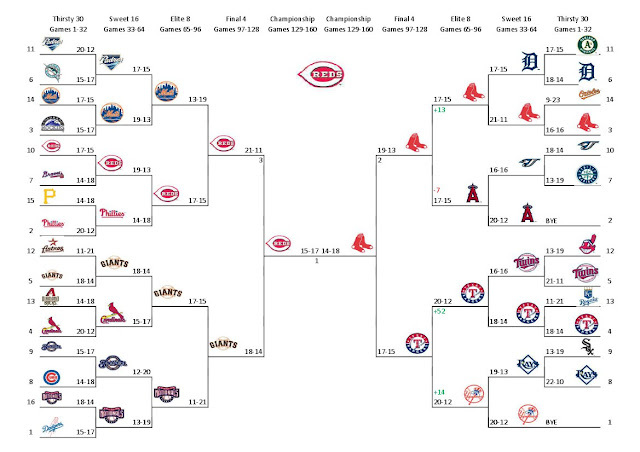 When all was said and done, it was the Reds versus the Red Sox in the grand finale. Unfortunately, in order to win the grand prize, you had to have successfully completed a trade with me (i.e., actually sent me something back for what I sent you - To date, I've been stood up twice!). 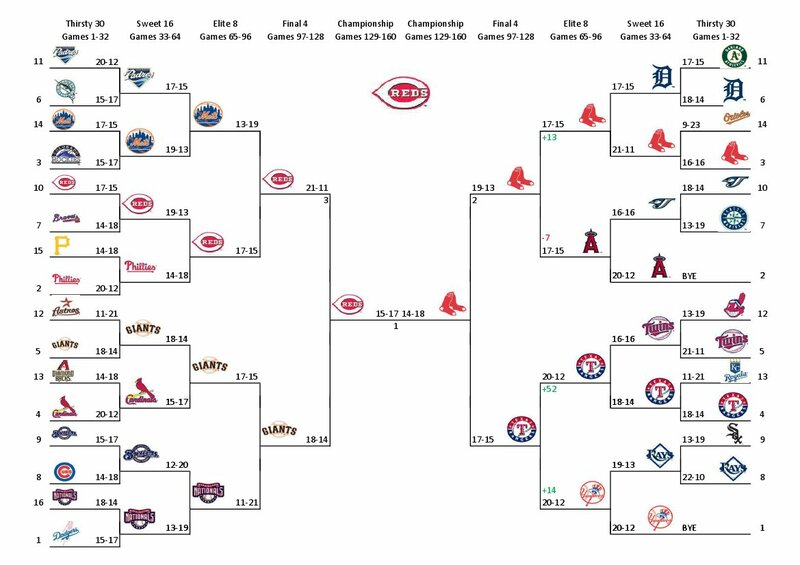 The final winner was the Reds in an unspectacular series of 15-17 for the Reds and 14-18 for the Red Sox. I vow to do this again next season, and maybe, just maybe, we'll have a winner this time! The sad part is that I do have a package for Fan of Reds still lurking in my office from a trade that never materialized. Perhaps I should just send it to him as "winnings." And... What about my Nats making it to the final 8?! This year, with Werth protecting Zimmerman, I'm predicting a final four appearance! Hmm, I think we might need to revisit that trade that never materialized. I got behind there for a bit with my trading, but I'm mostly caught up again. Shoot me an email and we'll see what we can work out!